MacKenzie Falls is one of Victoria's largest and most spectacular waterfalls. It is only one of four falls in the Grampians National Park and it flows all year round, but is best viewed between June and October. After rain, torrents of water cascade over huge cliffs into a deep pool, sending fine sprays of rainbow mist high into the air above a stunning gorge. 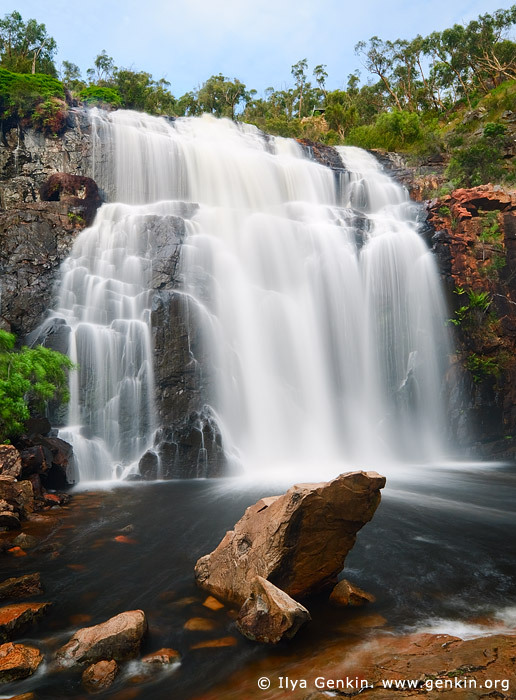 The MacKenzie Falls should be on everyone's shortlist of must see attractions in the Grampians National Park. This image id VIC-MACKENZIE-FALLS-0001 of MacKenzie Falls, is copyrighted © by Ilya Genkin. This is not a public domain image.